The Chinese practice of acupuncture, which goes back over three thousand years, involves inserting hair-thin surgical steel needles into selected acupuncture points in the body. But that's just the mechanics of the technique. For an explanation of how it works, you need some background in Chinese medicine. According to that ancient tradition, health is achieved through the harmonious balance between the opposing forces of yin (spirit) and yang (blood). The attraction between them creates an energy known as qi (pronounced chee), which flows to all parts of the body through channels called meridians, pathways that run along the surface of the body and branch into the body's interior. Any imbalance in those forces is believed to cause illness, so when needles are placed at prescribed spots along the meridians, balance -- therefore, health -- is restored. Several different styles of acupuncture exist mainly differentiated by how the points are stimulated, including hand pressure, electrical pulse, ultrasound, or wavelengths of light. 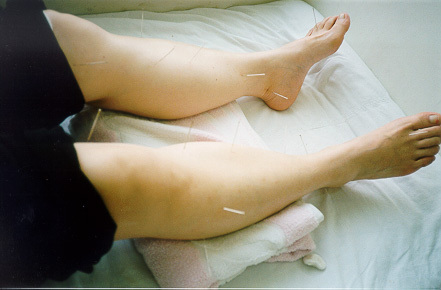 An estimated 15 million Americans have been treated with acupuncture. It's easy to find anecdotal evidence of it's effectiveness in relieving pain and various other symptoms. Just look at any number of books, magazines and Web sites on this subject. But does it really work ?